Full text access is free in HTML pages; however the journal allows PDF access only to users from ITALY, developing countries and paid subscribers. Introduction: In patients affected by hypertrophic cardiomyopathy (HCM), left atrial volume index (LAVi) is associated with an increased risk of tachyarrhythmias and major clinical events. To date, the clinical meaning of LAVi measured during exercise (stress LAVi [sLAVi]) has not yet been investigated in HCM. This study sought to evaluate the correlation between LAVi/sLAVi and clinical outcome (risk of arrhythmias and heart failure [HF]) in patients with HCM. Methods and Results: We enrolled a total of 51 consecutive patients with HCM (39 men; mean age: 39.41 ± 17.9 years) who underwent standard and stress echocardiography, following a common protocol. During follow-up (median follow-up was 1.82 years), the following composite endpoints were collected: ARRHYT endpoint (atrial fibrillation, paroxysmal supraventricular tachycardia, nonsustained ventricular tachycardia (VT), sustained VT, ventricular fibrillation, syncope of likely cardiogenic nature, and sudden cardiac death) and HF endpoint (worsening of functional class and left ventricular ejection fraction, hospitalization, and death for end-stage HF). Eight patients were lost at follow-up. ARRHYT endpoint occurred in 13 (30.2%) patients (8, 18.6%, supraventricular and 10, 23.2%, ventricular arrhythmias), whereas HF endpoint occurred in 5 (11.6%) patients. 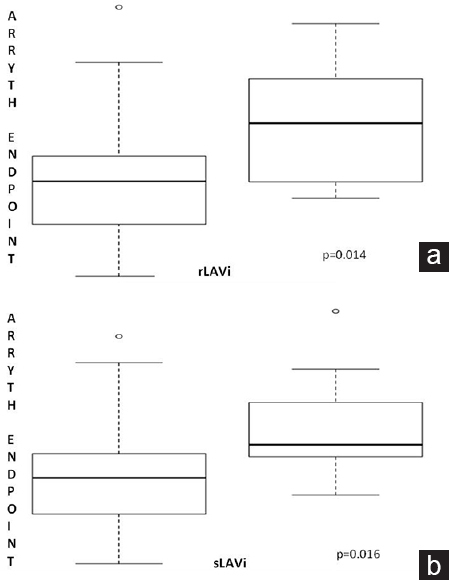 sLAVi (mean value of 31.16 ± 10.15 mL/m2) performed better than rLAVi as a predictor of ARRHYT endpoint (Akaike Information Criterion: 48.37 vs. 50.37, if dichotomized according to the median values). A sLAVi value of 30 mL/m2 showed a predictive accuracy of 72.1% (C-statistics of 0.7346), with a high negative predictive value (87.5%). Conclusion: These findings encourage future studies on sLAVi, as a potential predictor of arrhythmias and adverse outcome in patients with HCM. Ventricular septal defect (VSD) is one of the most serious mechanical complications of acute myocardial infarction (AMI). 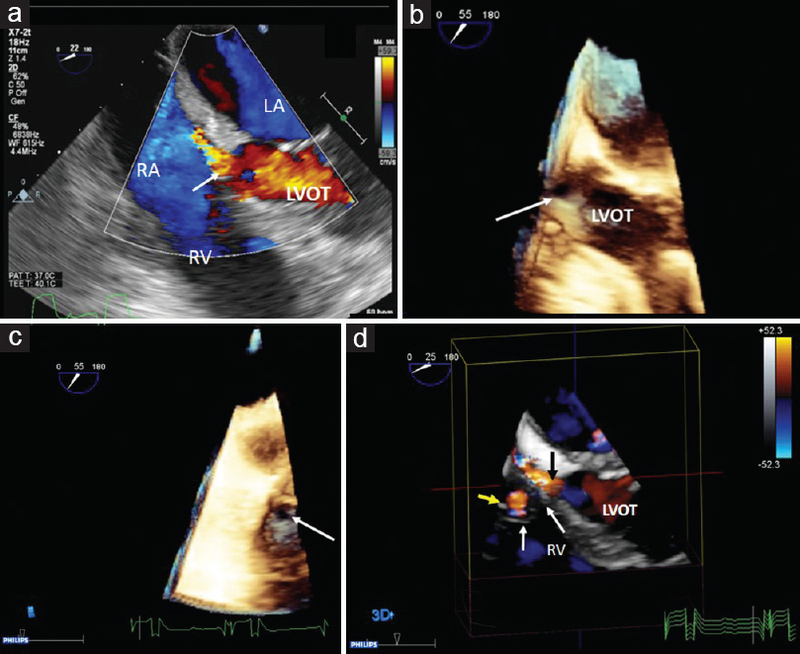 Despite the incidence of post-AMI VSD in reperfusion era has reduced from 1%–2% to 0.17%–0.31%, it is a still life-threatening condition with poor prognosis. Surgical VSD closure is considered the best treatment approach since conservative management carries an extremely high mortality rate. 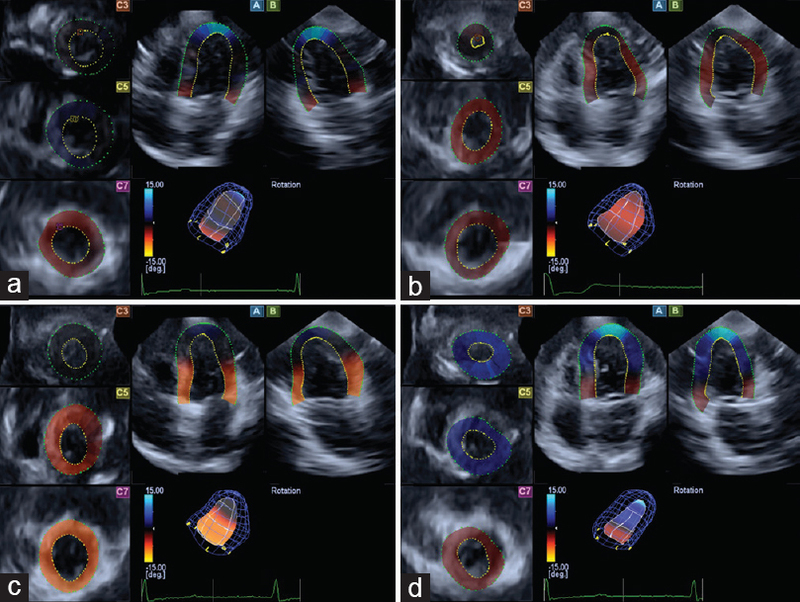 Over the last decade, percutaneous transcatheter closure has emerged as an alternative therapeutic strategy for a patient with post-AMI VSD, with outcomes similar to cardiac surgery (30-day mortality 14%–66%). We present a case of inferior AMI complicated by posterobasal VSD and cardiogenic shock successfully treated with percutaneous closure. 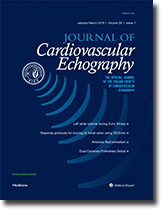 The role of echocardiography in diagnosis, management, and percutaneous procedure guiding has been emphasized. Amniotic fluid embolism (AFE) is a rare but potentially lethal obstetric condition affecting women during labor, delivery, or also in the immediate postpartum period, when amniotic fluid, fetal cells, hair, or other debris could enter the maternal circulation. 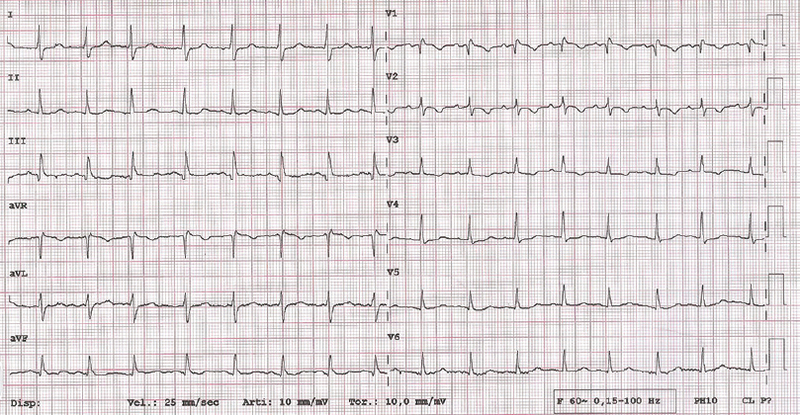 We present the first case of AFE described in literature in a 33-year-old patient with a complex history of congenital heart disease, where the crucial points for successful course were the prompt recognition and treatment of the disease and the use, for the first time, as diagnostic tool for AFE, of right ventricular free-wall longitudinal speckle-tracking strain. Congenital coronary-pulmonary fistulas (CPFs) are defined as an abnormal direct communication between one or more coronary arteries, with a cardiac or thoracic structure bypassing the capillary network. 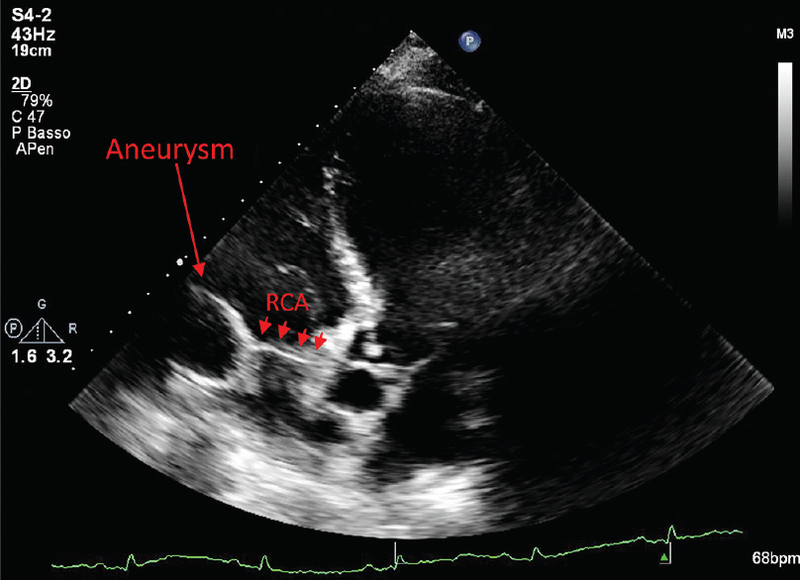 We report the case of a 73-year-old male, with a history of hypertension, asymptomatic for angina and dyspnea, who was referred for routine clinical control. Echocardiogram unexpectedly showed the presence of diastolic flow from the pulmonary trunk in parasternal short-axis view. Pulsed-wave Doppler confirmed the presence of diastolic flow and displayed the typical coronary flow pattern. 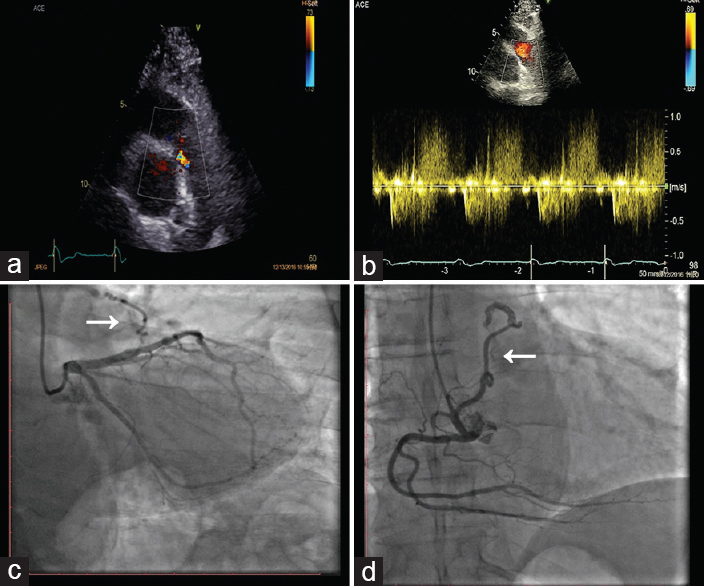 Coronary angiography hence showed the presence of dual CPFs originating from the second segment of the left anterior descending coronary and the right coronary arteries. 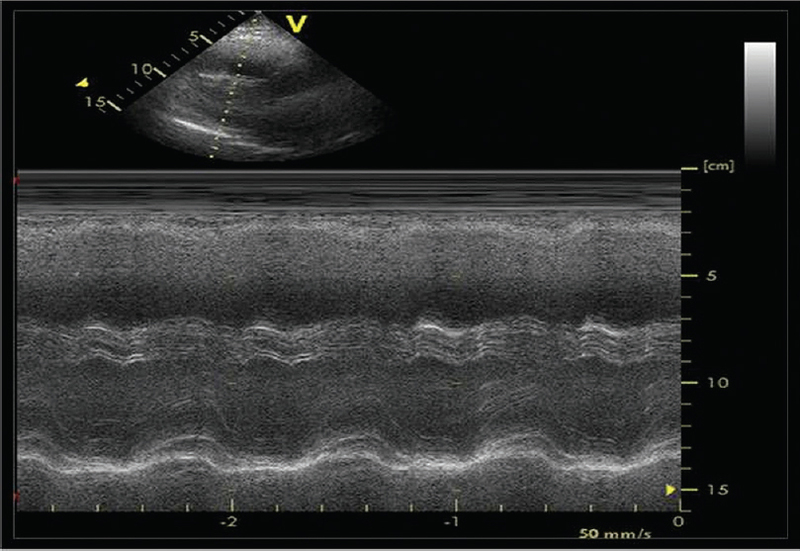 Careful routine Doppler echocardiograph examination may raise the suspicion of CPF in case of otherwise unexplained symptoms and may represent a simple, easy, repeatable tool for the first suspected diagnosis and follow-up of CPFs. The Chiari network, a net-like structure within the right atrium, has been described as an embryonic remnant of no clinical significance. Its role in facilitating paradoxical arterial embolic events and as a potential site for thrombus formation has been reported in the literature. 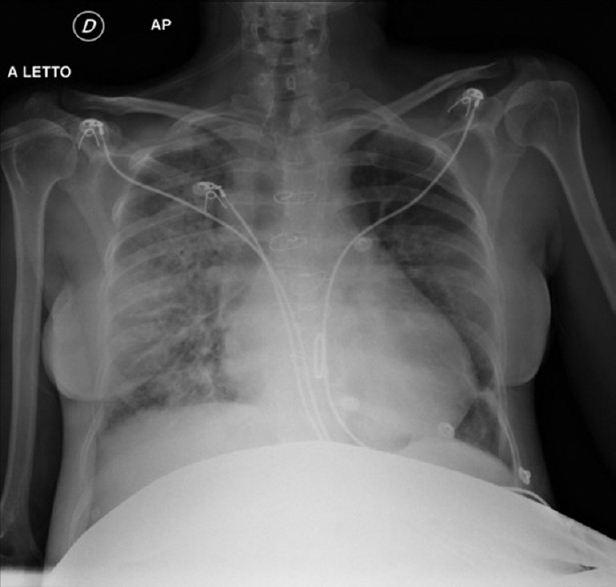 This case illustrates the protective filter-effect of the Chiari network in a 92-year-old women who presented with the clinical signs and symptoms of acute cor pulmonale. 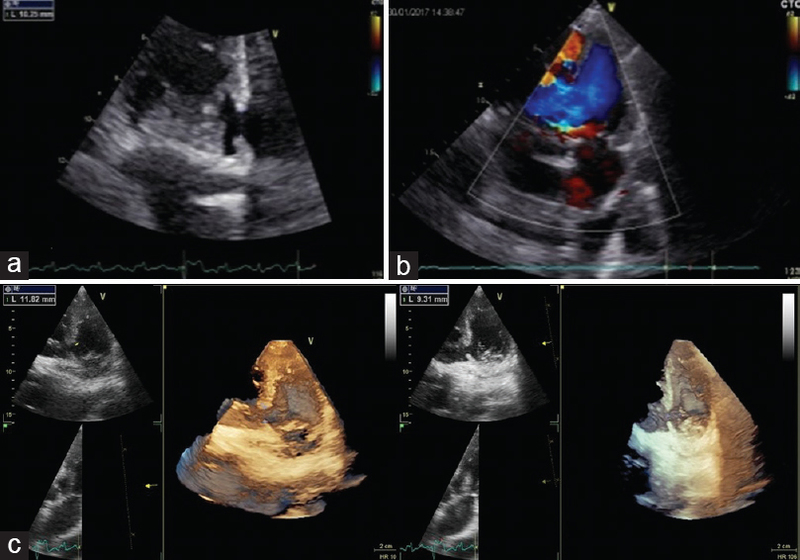 Transthoracic echocardiography revealed a large, S-shaped, and extremely mobile right atrial thrombus within the Chiari network. Here, the authors describe how the Chiari network may have prevented the occurrence of a fatal pulmonary embolism acting as a protective factor. Transitional atrioventricular (AV) septal defects are uncommon congenital heart defects, and diagnosis is usually made in childhood. 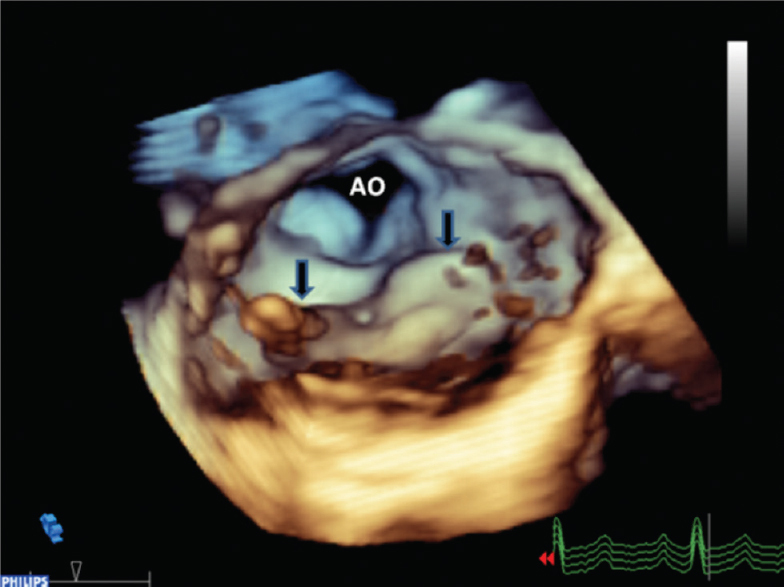 We present the case of intermediate AV canal diagnosed in a man referring to cardiological examination for the first time in his life at the age of fifty for exertional dyspnea. The absence of medical examination or execution of electrocardiogram or echocardiogram in childhood or in youth and the very late appearance of symptoms lead to a late diagnosis of this congenital heart disease (CHD). This case underlines the importance of including CHD in the differential diagnosis of symptoms such as chronic dyspnea, also in adulthood.